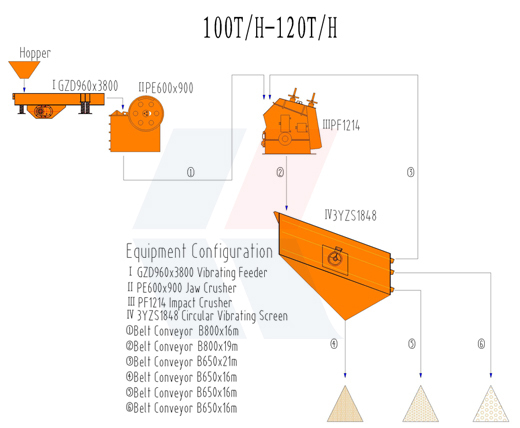 The Stone Crushing Plant 100-120T/H of our company mainly consists of Vibrating Feeder, Jaw Crusher, Cone Crusher or Impact Crusher, Vibrating Screen, Belt Conveyors and Control System, etc. 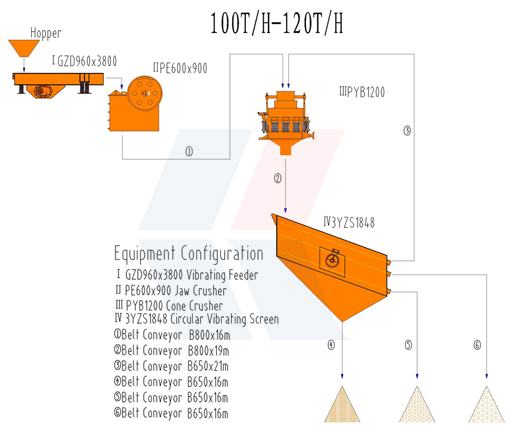 It is completely capable to crush and screen limestone, marble, granite, basalt, river stone and so on, and produce sand & gravels with various granularities for construction and building industry. 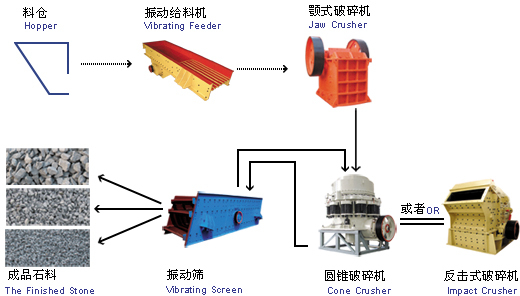 We are able to design and manufacture complete crusher plants with capacity from 30tph to 500tph, and to provide optimum and most economical solutions according to customers’ requirements on stone specifications, capacity, application, etc.